Mutual Builders' former headquarters at 660 Park Ave.
Melissa and Brian Barrows moved in 2015 into a secluded subdivision among the evergreens near the Quinebaug River in Southbridge called Hunter’s Ridge. The home was built in 2006 on a short cul-de-sac called Quail Run, just off of Red Fox Blvd. and before Whitetail Circle. Sounds good, so far. Idyllic even. Except the home was built by Jamaheja, Inc., a contracting company owned by troubled Worcester real estate agent and developer Jay Pelletz, who has left accusations of unfinished work, broken promises and tens of thousands of dollars in money owed in his wake, according to several unsatisfied customers over the years. However, unlike many of Pelletz’s former clients, the Barrows haven’t had any problems with their home. “Knock on wood, right now we have not had any issues with our house that stem back to the building process of it,” Melissa told the Sun recently. Instead, like the other residents of Quail Run, town leaders in Southbridge and one local bank, the Barrows’ problems on the homefront stem from Pelletz’s refusal to meet his obligations to maintain the private roads of the subdivision. Unpaved, unfinished and unplowed streets. No street lights. “In the winter, it was pitch black up here and the roads are awful. When the kids were getting off the school bus at the bottom of the road, the sidewalks weren’t cleared for them to walk on, and it was still dark out depending on when they were getting on or off the bus,” Barrows said. 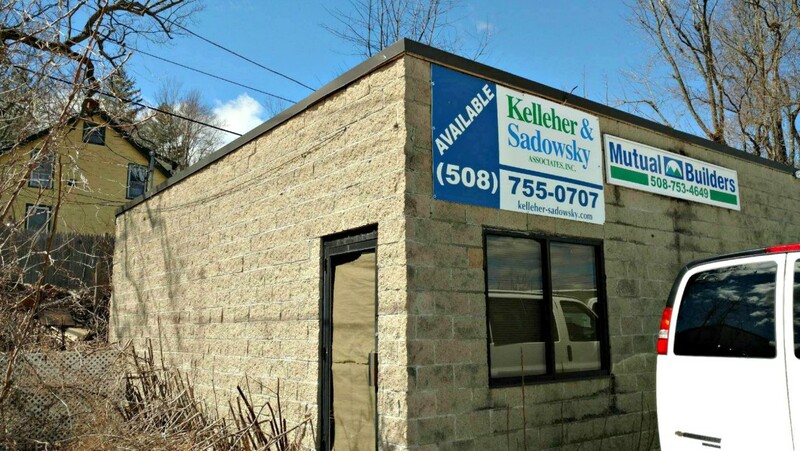 Pelletz is listed as a Realtor for Quinsigamond Realty on Lake Avenue in Worcester. Negotiations between the town, United Bank and Pelletz are ongoing, according to San Angelo. San Angelo said that Pelletz is willing to give the land to the town in lieu of unpaid taxes Pelletz owes on plots of undeveloped land behind the subdivisions. Pelletz’s Jamaheja Corp., a subsidiary of Mutual Builders, owes $278,670 in taxes as of late April, according to the town treasurer. “It’s an unfair situation and the residents are going to need this fixed as soon as possible,” San Angelo added. He would not comment further on the ongoing negotiations. Multiple attempts to reach Pelletz over the course of several weeks went unreturned. According to the town and several residents of Quail Run, 2016 was the first year Pelletz didn’t maintain the roads, plow or pay National Grid to make sure the streetlights were working. On Dec. 1, as was reported by multiple regional news outlets, Pelletz sent a letter to the town stating he would no longer be plowing the two subdivisions. Barrows and others, though, are not willing to let town officials off the hook. “The roads are not finished, they’re in terrible shape. And the town wants nothing to do with this,” said Lynn Durocher, of 43 Quail Run, who purchased one of the first homes at Hunter’s Ridge in 2005 after moving from Nashville, Tennessee. Pelletz walking away and leaving homeowners with a problem on their hands is nothing new. As the principal of Mutual Builders — the company headquartered at 660 Park Ave. that his father, Mel Pelletz, started in 1975; and which was the initial contractor of record at Hunter’s Ridge — Jay Pelletz accumulated a string of jilted customers who have waited months and years for returned deposits and work to be finished. Many still wait. Indeed, Jeanty Pierre Paul of Dudley has been wrangling with Pelletz over nearly $80,000 in unfinished work at his home since 2013. As a result, Pelletz’s contracting license had been suspended for six months, until Nov. 6, 2016, by the state Office of Consumer Affairs and Business Regulation [OCABR] following an April 2016 complaint hearing brought on behalf of Pierre Paul. Pelletz was also fined $4,250. OCABR spokesman Christopher Goetcheus told the Sun that Pelletz never paid the assessed fine and didn’t show for a revocation hearing on Dec. 28, 2016, which resulted in Pelletz’s home improvement contractor registration being revoked indefinitely. It was Mel Pelletz, as the agent for Mutual Builders, who in December 2001 won Planning Board approval in Southbridge for the proposed subdivision. After the first homes were finished in 2005, Mel Pelletz signed a three-year subdivision extension waiver with the town, and one-year extensions from 2008 to 2011. According to San Angelo, United Bank holds the mortgage owned by Pelletz on the Hunters Ridge property and is unwilling to release the mortgage to the town. According to documents from the town of Southbridge, in 2004, Mel Pelletz, the town and United Bank invested $180,000 in a tripartite agreement — which was set aside in order to maintain the subdivision roads in case the developer ran out of money to finish the development. San Angelo said the town, United Bank and Jay Pelletz would all have to come to an agreement regarding the mortgage on the land, and the residents of Hunter’s Ridge would have to pay into a betterment — roughly $240,000 ($420,000 minus the $180,000 already set aside) paid over 20 years — in order for the roads to be fixed and the streetlights turned back on. Barrows said the town claims it is in the process of trying to take over the land through the bank with a tax lien and eventually the 49 homeowners of Hunter’s Ridge would have to pay into the betterment to get the roads paved. Only then would the town accept them as public roadways. Caron said the residents of Hunter’s Ridge will hold a meeting soon to review the situation and decide their next move.